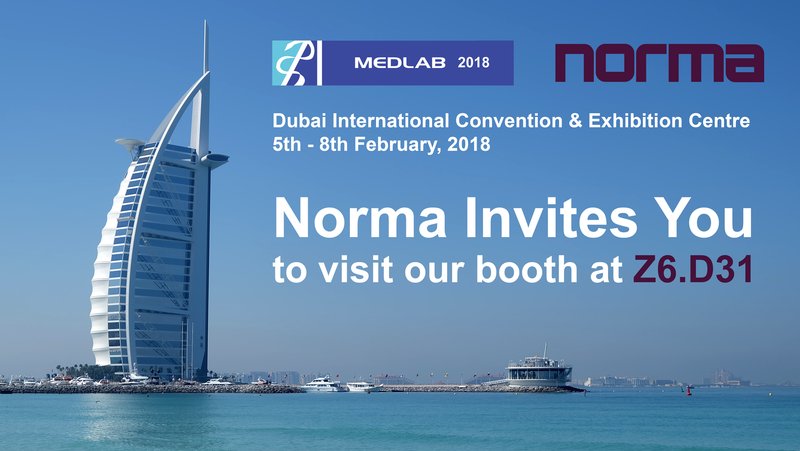 We are happy to announce that Norma will be attending the MEDLAB 2018 Exhibition, one of the largest multi-speciality laboratory expo worldwide. The trade fair, as usual, is going to take place between the 5th and 8th of February at the Dubai International Convention & Exhibition Centre. Norma is going to exhibit its complete hematology analyzer product line (Icon-3, Icon-5, iVet-5) with the newest and coolest accessory, the Norma Autoloader. So make sure to visit our booth at Za’abeel Hall 6. D31 (Austrian Pavilion) to see all our newest products. If you would like to book a meeting with us, please contact our area managers in advance, or send an email to office@normadiagnostika.com. We hope to see you all in Dubai!